What terrible weather, deffinately not the weather to have a holiday. Back to crafting. 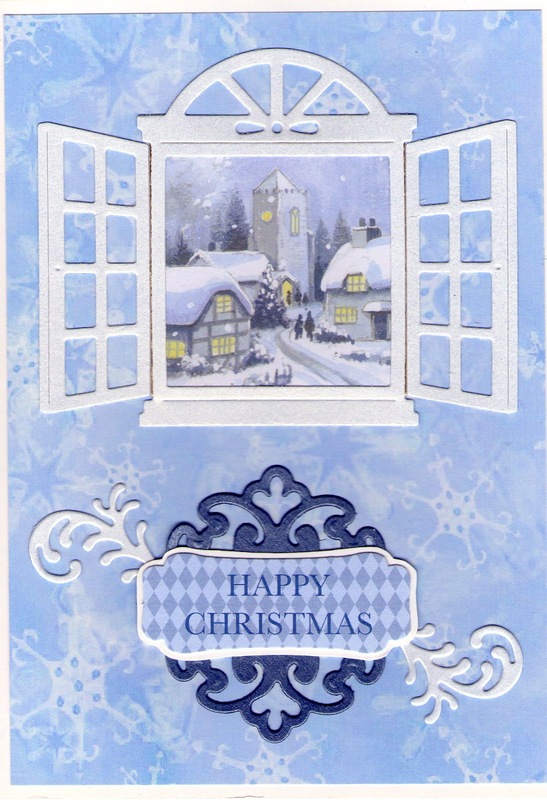 I have not made a card for a couple of weeks but I will be back to normal soon. 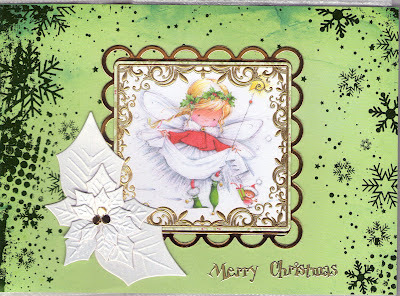 I have a few to show you using my new dies and some toppers I have had for a few years. Why I bought so many I don't know as I have hardly used any but they cannot stay unused. 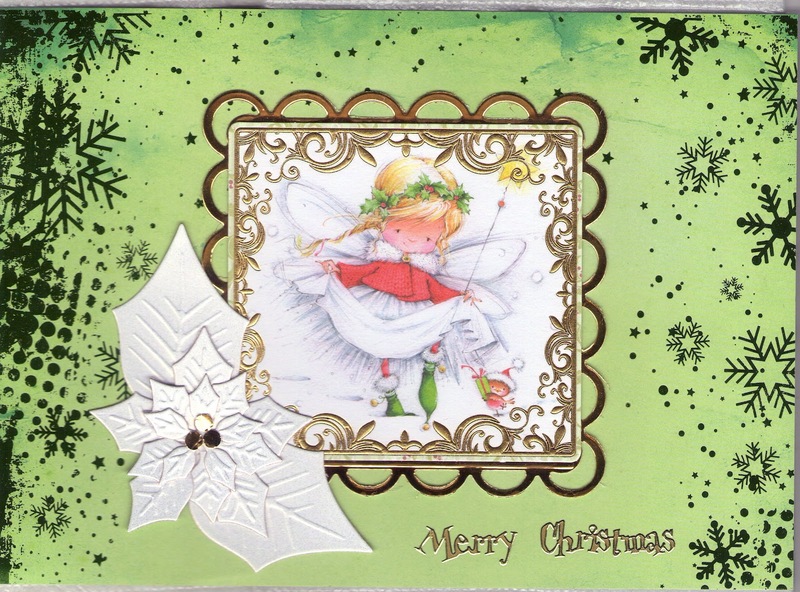 The topper is a Kanban one from a few years ago and she is matted onto the Spellbinders Lacey Squares die and the Poinsettia is also a Spellbinders set of dies. I think the Poinsettia one is going to be well used this year. The backing card is also from Kanban. Another Kanban topper put behind a window die from Cottage Cutz. 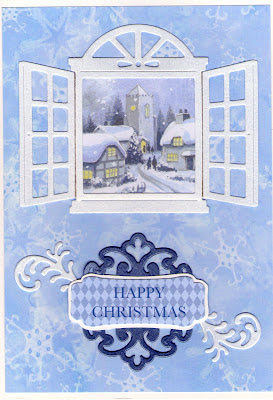 The sentiment is also from Kanban and put ontop of a Spellbinders die and the flourish's are cut from a Marianne die. I printed the card used to make the base last year and I think it was from a Crafter's Companion CD. I have LOADS more toppers and I am determined to use them this year, well maybe not all of them but I will use a good number of them. They make good quick cards especially with the dies I have.